Raya Fatayer, 23 years old, was born and raised in Nablus, where she graduated from Al-Najah University, majoring in Media, TV and Radio broadcasting. She spent her teenage years volunteering with local organisations to help her community in the aftermath of the Second Intifada, and continues to be actively involved in conflict resolution. Majdi was recruited into Zimam through several events, having showed real potential as a promising future leader. Majdi went on to win Qalqilia municipality elections and took a seat at the municipality council. From 2012-2016, Majdi achieved tremendous results in improving water and electricity services for the citizens, as well as implementing education support programmes for students struggling with their final exams. Ala' enrolled into An-Najah University to study Political Science. He did not realise at this point how much he cared about helping others, but he joined the Zimam young leaders programme the day it began on his campus, simply curious to know more. His journey began at the Student Council as a representative of his faculty, but, after attending more and more of Zimam's trainings and workshops, he was then elected to be part of the senior leadership at the University Students Council, representing 25,000 students. 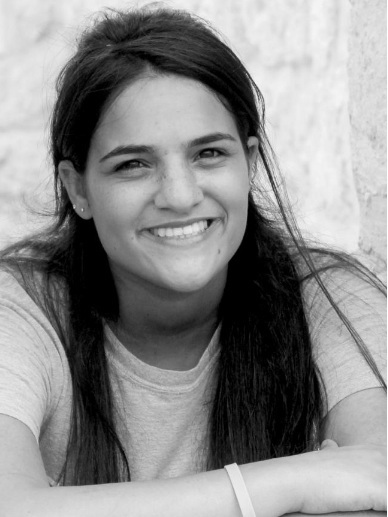 May is a 22-year-old French language major, with a minor in Political Science and a diploma in Education from the University of Birzeit. After receiving a scholarship to study in France, she returned to Palestine and joined Zimam. At the same time, she was working 3 jobs in order to support herself and her siblings. Through hard work and perseverance, she has become the Student President of her faculty at Birzeit, which she describes as her biggest achievement so far. Saif Fawaz Aqel is a 20-year-old student from Nablus, and one of Zimam’s up-and-coming leaders, hosting sessions among Nablus activists about the two-state solution, non-violence and civic peace. Thanks in part to the leadership training provided by Zimam, Saif is now a prominent student politician at Al-Najah University, and even staged a sit-in in the center of the city, calling on Palestinian politicians to put aside their divisions and unite in order to build a Palestinian state. Thanks to the work of leaders like Saif, and his colleague Alaa Salous, Zimam’s Nablus chapter is now the biggest in Palestine, with a massive presence on campus, representation on the Student Council, and some of the most creative local campaigns in the West Bank.